Canon has introduced their full frame mirrorless EOS-R camera at the time of Photokina. Cambo also has a bayonet available for these cameras. It is listed as AC-782. As the size is very similar to the previous Canon bayonets, it will be directly suitable for the Actus-B as well as fitting to the Actus-G, via the AC-78E holder. The EOS-R-mount mirroless bodies have 20mm flange focal distance (FFD) from bayonet to sensor. 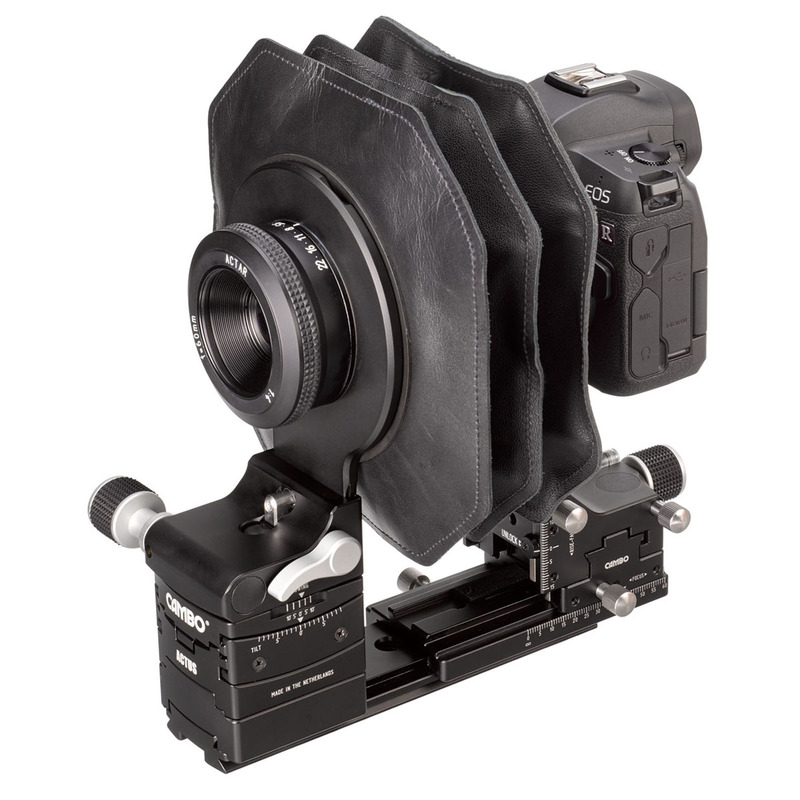 Therefore most lens adapting possibilities that Cambo offers for the Actus system, including all ACTAR lenses, can be used in combination with this new AC-782 bayonet holder for the R-mount series. Leica, Panasonic and Sigma recently introduced their new common bayonet platform based on the SL-mount of Leica. Cambo has created a new bayonet suitable for the Actus-G to support this platform.